We are off to a flying start this year with the first tweetchat of the year run as a joint tweetchat with the folks at #BYOD4L Bring your own device for learning. #BYOD4L is a free open online 5 day course that anyone can join in to explore how mobile devices can be used in learning and teaching. Facilitators from the last community edition of #BYOD4L in January 2018 would like our wonderful community to feedback on ideas for the next version of the event which will run in 2019. This is a great opportunity to get involved in the planning and organisation and help to shape the next iteration of the event, we are looking for willing volunteers to help organise, facilitate and participate. Join Debbie Baff and Suzanne Faulkner on Wednesday 16th January 2019 for a fun filled and fast tweetchat and get those ideas flowing … Warning there may be bitmojis and / or gifs! In this #LTHEChat, we would like to explore the disruptive potential of active learning. One of our course participants asked ‘Who are we disrupting, with our active learning strategies?’ Hence our second question: are active learning strategies actually disruptive, and who are they disrupting? The learners? The educator? The institution? We believe active learning can disrupt us as educators just as much as the learner. We are stepping back from what is expected; we create situations where outcomes are difficult to anticipate, and thus we are taking risks when using pedagogies that are more student–centred. 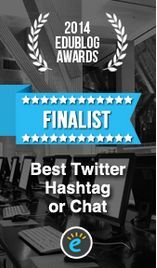 This is the last TweetChat of the year. So, our questions are not going to be purely serious and philosophical. We would like to explore where the magic happens. You know, the moments in teaching where you and your students are ‘in flow’, where this negotiated meaning-making is happening and there is an environment of mutual trust and respect. Are these moments elusive? Why can we not just recreate these every day? Can we find the magic? What would you wish for? I [Nathalie] would love to have app developers or game designers at hand when planning active teaching. There are situations where gamification to convey a really difficult concept would have a profound impact on students. Now in the physical classroom, it’s easy enough to bring in Lego™ or PlayDough™ or make up games—I have previously hand–sewn fabric fortune–cookies! In a virtual learning environment with our distance learners, or when we want to encourage outside of classroom learning, digital games would have such an impact! That’s my wish anyway. My [Vicki’s] wish is already being granted – I think we are at a point where the learners, teachers, institution, sector and workplace are ready for active learning. Rather than being the signature of early adopters, active learning is rapidly becoming a pattern for the design of higher education, from our learning activities to teaching sessions to our learning spaces, whether online or face-to-face. There is still a lot of progress to be made though, so we would like to know what your Christmas wish for active learning is. Dr Nathalie Sheridan @UofGLEADS undertook her first degree @tudresden_dein Erziehungswissenschaften, and has worked in culture and museums education throughout her studies. Hence her interest in active pedagogies and integrating the students’ environment into the curriculum. 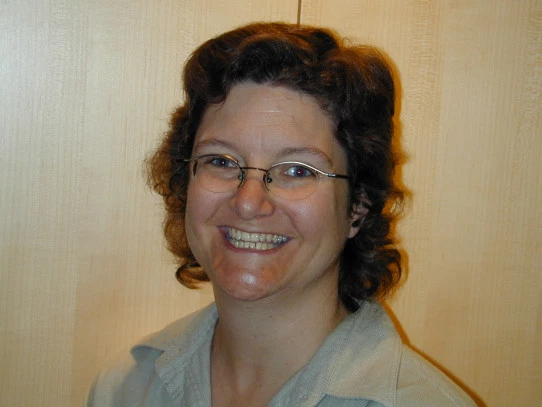 Dr Vicki Dale is a Senior Academic and Digital Development Adviser at @UofGlasgow with specific interests in blended and online learning and evaluating the learner experience of teaching methods that encourage students’ self-regulated learning. Kovbasyuk, O. and P. Blessinger (2013). Meaning-centered education: International perspectives and explorations in higher education, Routledge. With apprenticeships, work-based learning, and skills for work becoming increasingly important areas of development and activity across the higher education sector globally, QAA Scotland’s new ‘Focus On’ project examining Graduate Skills is relevant and timely. Effective ways of embedding skills inside (and outside) the curriculum. Digital skills for graduates from all disciplines. Equality and diversity in skills provision and opportunities. Skills for working in a global society. 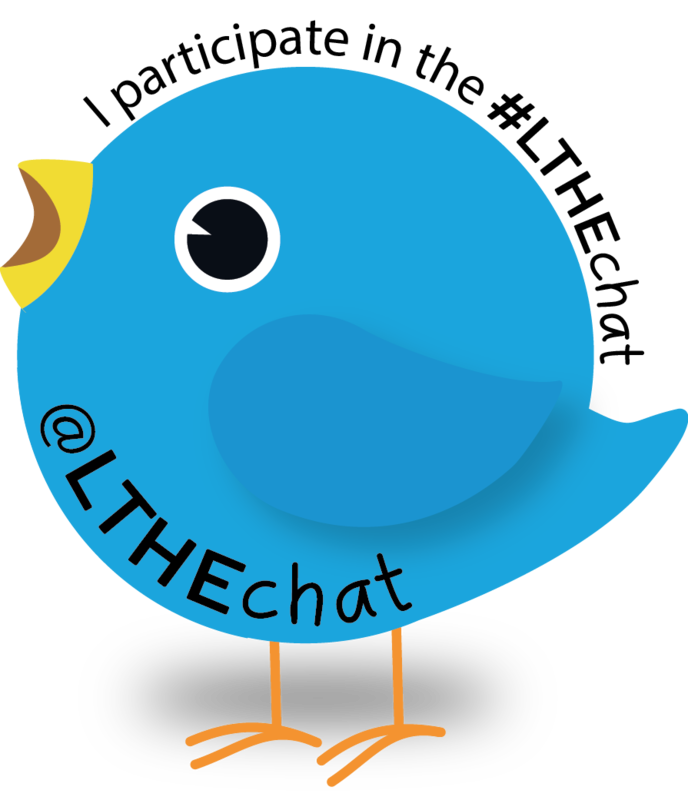 These themes have informed the questions we are asking in this #LTHEchat. Share effective practice, key messages and analysis of existing information on graduate attributes, skills and employability. Explore student views – what approaches to skills development work well? How can we improve? What do students want more of? Work with graduates and employers – what do graduates and employers tell us that we can do better in HE to support students for life after University, and how do we work most effectively with employers to embed effective skills development in the curriculum? Inform and influence policy to better meet our future challenges and our readiness as a sector to take action. We hope this tweetchat will allow us to engage a wider audience in debate around these issues and enhance our understanding of current thought and practice. You can keep up to date with the project by visiting our website: https://www.qaa.ac.uk/scotland/focus-on/graduate-skills and by subscribing to our Focus On mailing list by contacting arcadmin@qaa.ac.uk). We would be happy to hear from you. There is a persistent narrative that stigmatizes students in higher education as disengaged from the the ‘real world’, uninterested in the news, unaware of current events. Recent research, including the News Study by Project Information Literacy (http://www.projectinfolit.org/news_study.html) however paints quite a different picture. For many students, engaging with the news takes time and effort to sift through facts, compare interpretations across sources, and share information as a form of social capital in discussions with their peers, in classroom activities, and in social media forums. As a student, I might have heard a newscast on the radio in the morning, read a newspaper at lunch, and caught some of the evening news in passing (it was the dark ages, there was one TV in the residence hall of some 300 students), all carefully controlled, brief encounters with news that was curated by professional journalists and organizations I trusted. Students today are awash in news served to them 24/7 by unseen algorithms in their social media feeds, and a plethora of other digital sources, the trivial is mixed with the crucial, traditional reporting from the BBC or Al-Jazeera appears alongside on-the-scene citizen journalism, viewpoints are filtered to reinforce biases and drive consumption, and all the while, leaders, media reports, and perhaps even professors, say the media is not to be trusted. It’s no wonder many students feel overwhelmed. The good news, as our study found, is that many students value news enough to persist in finding their way through it, balancing accounts, views, and interpretations. However, they were more likely to be actively engaged in this work for academic assignments, and often much more passive consumers when it came to news in their personal lives. One of the most interesting study findings is that 70% of our 5844 respondents encountered news through discussions in the classroom. Professors’ recommendations were a key source of news for academic work (68%) and in their personal lives (38%). However there was a wide range of experiences with news, and field of study was a factor – Humanities students were far more likely to see news integrated in their classrooms than students in the Sciences. So – if we believe it’s important for students to develop effective habits in using news, and if we understand that the classrooms are an important place for engaging with news… what can we do as instructors to support students’ engagement with news for both academic and personal purposes? Margy is a retired librarian and Professor Emerita of Mount Royal University in Calgary, Alberta, Canada. She is currently a Senior Researcher with Project Information Literacy, a research institute that conducts ongoing, national studies on what it is like being a student in the digital age. She has recently worked on a major study investigating how students engage with news. Fascinated by the results, she is intrigued by their implications for higher education. Emily Van Duyn & Jessica Collier, “Why We Really Need to Stop Saying Fake News.” (August 23, 2018). Michael Rosenwald. “Making Media Literacy Great Again.” (Fall 2017). Caulfield, Mike. “Web Literacy for Student Fact-Checkers.” (2017). https://webliteracy.pressbooks.com/ – a brief book that walks through very practical evaluation strategies. Beccy Dresden. “Educating students for media literacy.”(February 27, 2018). http://www.ucisa.ac.uk/blog/?p=2594 – a collection of resources and ideas for teaching from DigPedLab 2017. #LTHEchat 130 One solution to online learning? think again. With the miniaturisation of computing and the availability of technologies much has been anticipated about the affordances that technology would bring to daily and corporate living, conquering aspects such as distance and providing opportunity irrespective of class. Education was part of that encompassing view, particularly in extending its outreach but also in changing the teaching landscape promising an approach that attended to the needs of the student, personalising education that up till this point was the prerogative of in class/on campus scenarios. The launch of the online environment bypassed the various challenges of the postal service by transferring the practice of disseminating course booklets in paper form to an electronic delivery, incorporating a more immediate human transaction with a lecturer or tutor. Interaction between teacher and student is part of that pedagogical process that deepens the co-investment in education between the learner and the institution, develops a trust relationship in the community of learning practice and inspires a depth of thinking to enhance the learning process. Yet the university online delivery ranges from the pdf version of those same course notes to a formula driven electronic learning platform with little space for innovation. It is understood that to ensure a quality online teaching experience, universities need to assure that there is a teaching delivery system that can be utilised by lecturers and students alike. However, the problem develops where the university promising quality assurance in its online teaching manufactures a formula driven pedagogy that might address elements such as student engagement, student interaction and teacher presence but does institute a level of sameness in all teaching deliveries. There is I suggest a fundamental flaw in the approach to the pedagogy of online teaching which is focusing on making the online experience the same as an on-campus class rather than the engagement of the student in the learning process. This on-campus thinking can also distract lecturers, students and the wider community from fully embracing the greater potential of the online platform. Continuing on the ideas raised by Kebritchi et al., in examining the content and the structure of its delivery, online educational content developers and lecturers should consider creating a new environment for their learners rather than trying to mimic a face to face classroom. These environments could expand on the forums, blogs and videos currently fostered by learning management systems to include but not be limited to technologies such as artificial intelligence, virtual reality and social media. Whilst incorporating such technologies are not without challenges the learning experience would surely be advantaged where learners are able to fully immerse themselves in a learning experience. Kebritchi, M., Lipschuetz, A., & Santiague, L. (2017). Issues and challenges for teaching successful online courses in higher education: A literature review. Journal of Educational Technology Systems, 46(1), 4-29. Associate Professor David Smith is a learning strategist with a PhD in the field of eLearning from Newcastle University in Australia. He has developed a broad expertise in education through his work in schools and universities. David consults on online course development and teaching in the Higher Learning sector in the United Kingdom and Western Europe and is a recognised expert in online learning for the open education network. 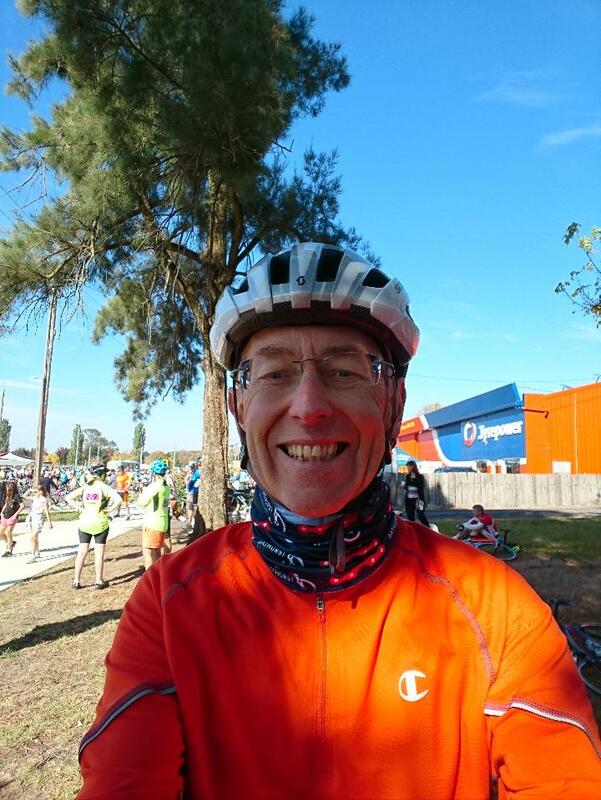 David’s current role is Head of the School of Education at Charles Sturt University which is responsible for on campus and online delivery of subjects in initial teacher and postgraduate degrees. David is currently investigating two elements of online learning, learning design and online assessment. In online learning design David has developed a different approach to learning pedagogy called the ‘Confluence of Learning (COL)’. David has also developed a mobile app called TfOIL (Technology for Online Interactive Learning) which assists lecturers to select appropriate technology. TfOIL is currently the subject of presentations and publications and is being used in several overseas universities. David is also researching the use of online visualization software and how that could be used to enhance the quality of online learning. Assessment feedback in higher education is usually provided through ‘written’ methods. Despite the widespread use of ‘written’ feedback, students frequently report dissatisfaction with the quality of their assessment feedback in annual surveys (Carless, 2006). In the United Kingdom, this frustration with assessment feedback is reflected in National Student Survey (NSS) results where, across the higher education sector, the Assessment and Feedback category was rated consistently lowest in terms of student satisfaction between 2006-2016 (HEFCE 2011; 2016). Reasons for low satisfaction levels with assessment feedback practices have been reported by Chanock (2000) and Weaver (2006) to be related to student perceptions of vague written feedback, which is often difficult to understand, and does not provide specific guidance on how students can improve their work in future. As such, it has been argued that providing feedback in the form of ‘written’ comments is ineffective and no longer appropriate (Carless et al. 2011; Lunt and Curran 2010). In recent years, attempts have been made to improve upon written feedback methods by using both audio- and video-based feedback. For example, Gould and Day (2013) reported that students valued audio feedback and perceived it as being more detailed, more personal, and more supportive than the ‘written’ comments that they had traditionally received. Moving on from audio feedback, screencasting allows the tutor to display the assessment submission on screen, highlight specific sections, and provide a verbal commentary (Thompson and Lee 2012). This method appears to offer several benefits over audio-only feedback. First, due to the visual nature of a screencast, the student is forced to visually review their assessment submission whilst listening to the points raised by the marker (Hope, 2011). Second, the visual element to the feedback allows for richer information to be conveyed by the marker than is possible with audio or ‘written’ methods (Cann, 2007), as key points can be highlighted and emphasised, and therefore contextualised by the marker (Crook et al., 2012). Third, Chalmers et al. (2014) found that staff members thought audio feedback was limited as it did not allow exemplar changes to a script to be made. Screencast methods solve this issue as changes to the script can be made if required. Despite these advantages in more advanced technological ways of providing feedback, ‘written’ comments are still the most widely used method of delivering assessment feedback in higher education settings. David Wright is a Senior Lecturer in Exercise and Sport Science at Manchester Metropolitan University and a Senior Fellow of the Higher Education Academy. David teaches content related to sport psychology, motor control and research methods across a variety of degree programmes related to sport science. David attempts to improve student satisfaction and achievement by integrating technology into his teaching. For example, over the past five years, David has delivered his assessment feedback via screencast methods, implemented flipped classroom methods on his units, integrated online quizzes into his lectures and engaged with problem-based learning teaching formats. In addition to his teaching, David is also an active researcher. His PhD investigated changes in cortical activity that are associated with motor skill learning. His current research interests focus on exploring the cortical and behavioural processes involved in action observation and motor imagery interventions and their use for motor (re)learning. Carless, D. (2006) ‘Differing Perceptions in the Feedback Process.’ Studies in Higher Education,31, pp. 219-233. Carless, D., Salter, D., Yang, M. and Lam, J. (2011) ‘Developing sustainable feedback practices.’ Studies in higher Education, 36(4), pp.395-407. Chalmers, C., MacCallum, J., Mowat, E. and Fulton, N. (2014) ‘Audio feedback: richer language but no measurable impact on student performance.’ Practitioner Research in Higher Education, 8(1), pp.64-73. Chanock, K. (2000) ‘Comments on Essays: Do Students Understand What Tutors Write?’ Teaching in Higher Education,5, 95-105. Crook, A., Mauchline, A., Maw, S., Lawson, C., Drinkwater, R., Lundqvist, K., Orsmond, P., Gomez, S. and Park, J. (2012) ‘The use of video technology for providing feedback to students: Can it enhance the feedback experience for staff and students?’ Computers & Education, 58(1), pp.386-396. Gould, J. and Day, P. (2013) ‘Hearing you loud and clear: student perspectives of audio feedback in higher education.’ Assessment & Evaluation in Higher Education, 38(5), pp.554-566. Hope, S.A. (2011) ‘Making movies: the next big thing in feedback?’ Bioscience Education, 18(1), pp.1-14. Lunt, T., and Curran, J. (2010) ‘’Are you Listening Please?’ The Advantages of Electronic Audio Feedback Compared to Written Feedback.’ Assessment & Evaluation in Higher Education,35, 759-769. Weaver, M. R. (2006) ‘Do Students Value Feedback? Student Perceptions of Tutors’ Written Responses.’ Assessment & Evaluation in Higher Education31, 379-394. We are living in turbulent times in Higher Education (HE) with ever increasing reported levels of mental health issues in both students and staff (Grove, 2018; Niblock, 2018; Persson, 2017; Weale, 2018). When we add in the drive to create flexible, student-led learning environments, we often find ourselves in a position of trying to empower learners who are not ready or able to take on responsibility for their learning. 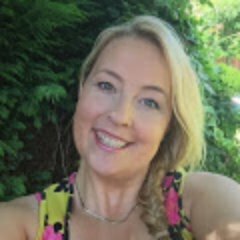 I’m sure we can also all agree that effective facilitation of a student-led learning environment requires a completely different skillset than historically favoured didactic teaching methods which is eluded to but not fully explored in the UK Professional Standards Framework (The Higher Education Academy, Guild HE, & Universities UK, 2011). Given this landscape, we would like to open the debate on whether coaching techniques and approaches could help us to foster more self-aware learners who take responsibility for action in their learning paths.Whitmore (2009) defines coaching as “unlocking people’s potential to maximize their own performance”which surely resonates with us as educators. Coaching has been shown to positively impact psychological factors such as reducing stress and improving wellbeing and resilience (Grover & Furnham, 2016) and increases self-efficacy, performance and satisfaction (Jarvis, 2008). Whilst these are outcomes from more formal coaching practice, wouldn’t it be great if we could enable these outcomes in our teaching too? There have been numerous studies into coaching services for students (Bettinger & Baker, 2014)and peer coaching (Moore, Westwater-Wood, & Kerry, 2016)which have shown increases in attainment, retention and satisfaction. However there are few, studies which explore coaching as an approach to learning and teaching in HE. We can draw many parallels between the skills needed for effective coaching and education including being fully ‘present’ and attuned to learners/coachees needs, using open questions, balancing challenge with support and being reflective practitioners. Use of silence is a key skill in coaching (Kimsey-House, Kimsey-House, Sandahl, & Whitworth, 2011)and so the similarities between coaching and education continue(Lees, 2013; Schultz, 2012). In fact, the spectrum of coaching skills (Downey, 2015) maps very well to the facilitation skills documented by Bens (2017)and the effective teaching skills discussed by Scales (2013). Bens, I. (2017). Facilitating with ease! : core skills for facilitators, team leaders and members, managers, consultants, and trainers(Fourth edi). Hoboken, New Jersey : John Wiley & Sons, Inc.
Bettinger, E. P., & Baker, R. B. (2014). The Effects of Student Coaching. Educational Evaluation and Policy Analysis, 36(1), 3–19. Downey, M. (2015). Effective Modern Coaching: The Principles and Art of Successful Business Coaching. LID Publishing. Kimsey-House, H., Kimsey-House, K., Sandahl, P., & Whitworth, L. (2011). Co-Active Coaching: Changing Business, Transforming Lives. Quercus. Moore, C., Westwater-Wood, S., & Kerry, R. (2016). Academic performance and perception of learning following a peer coaching teaching and assessment strategy. Advances in Health Sciences Education, 21(1), 121–130. Scales, P. (2013). Teaching in the lifelong learning sector. (K. Briddon & L. Senior, Eds.) (2nd ed.). Maidenhead : Maidenhead . Schultz, K. (2012). The Role of Silence in Teaching and Learning. Educational Horizons, 91(2), 22–25. We are a vibrant community of professionals who have an interest in coaching in Higher Education. Our community brings together those with academic, professional services or independent roles to stimulate discussion, share practice, build connections, develop our skills and have fun! The programme leader or director role is a complex and important one, crucial to higher education institutions core business: the delivery of under- and post-graduate programmes of study. As student experience data feeds into the metrics that inform TEF and other university rankings university senior management teams are increasingly looking to programme leaders to take more responsibility for the curriculum and learning and teaching practice on the programmes they lead. However, the role of programme leadership is relatively new; within an institution or faculty there is often lack of clarity regarding remit; many programme leaders are responsible for multiple programmes; and support for those practicing varies enormously across the sector. The key responsibilities of the programme leader include academic leadership – that is creating a unified and coherent academic programme made up of an (often inherited) collection of modules, and the leadership of academics – supporting peers in delivering effective learning and teaching across the programme. Attempting to do this without clear authority or managerial power can be demanding. 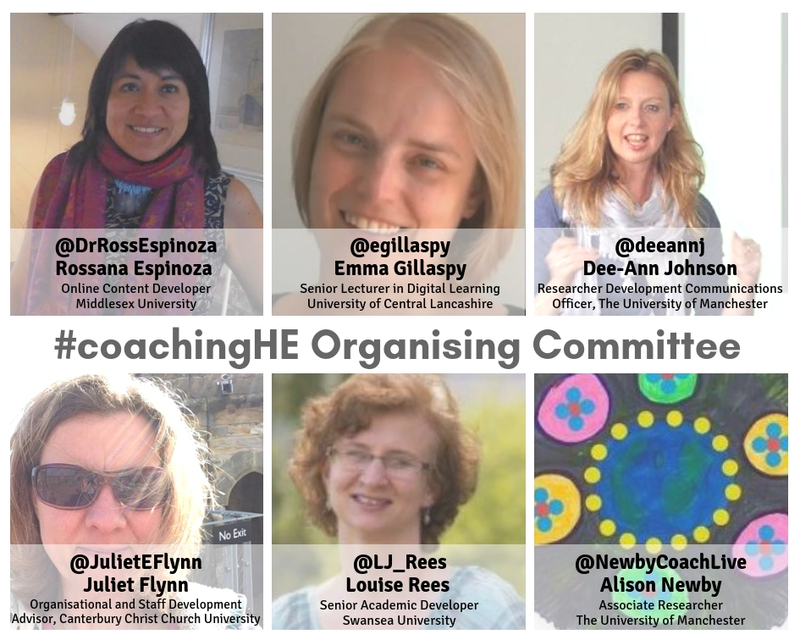 This #LTHEchat will be based on our co-edited work ‘Supporting Programme Leaders and Programme Leadership’ (Lawrence and Ellis, 2018), a collection of articles and case studies exploring the programme leader role and interventions and practices that have supported successful programme leadership. Evidence suggests the most effective and preferred developmental exercise is, for the programme leaders, peer-to-peer conversation (Senior 2018; Moore, 2018). We invite programme leaders, directors and convenors and all those invested in the role – aspiring programme leaders, educational developers, deans and HR managers, to share their collective wisdom as we explore how you address some of the programme leaders key challenges. Lawrence, J. and Ellis, S (2018) Supporting Programme Leaders and Programme Leadership. London: Staff and Educational Development Association. Moore, S. (2018) Beyond Isolation: Exploring the relationality and collegiality of the programme leader role. Lawrence, J. and Ellis, S (2018) Supporting Programme Leaders and Programme Leadership. London: Staff and Educational Development Association. Senior, R. (2018) The shape of programme leadership in the contemporary university. Lawrence, J. and Ellis, S (2018) Supporting Programme Leaders and Programme Leadership. London: Staff and Educational Development Association.